HTF-4-UK: Why are HTFs also known as Body Farms? Why are HTFs also known as Body Farms? The term ‘Body Farm’ is frequently used by members of the public and some of the forensic science community to refer to Human Taphonomy Facilities (HTFs), however many people are unaware of the term’s origins. It started with the opening of the worlds first HTF in 1981 by Dr. Bill Bass at the University of Tennessee’s new Forensic Anthropology Center. For over a decade the facility was simply referred to as the Anthropological Research Facility (ARF). 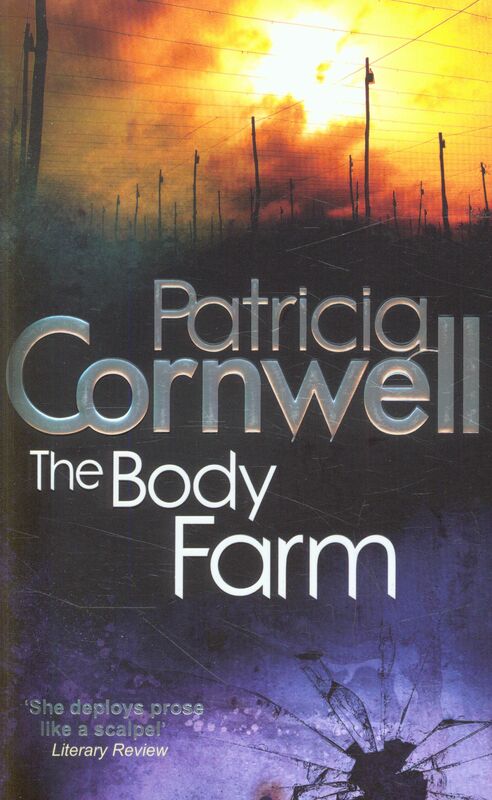 However, in 1994, a book was published by Patricia Cornwell entitled ‘The Body Farm’, the fifth book in the Dr. Kay Scarpetta series. The story revolves around an FBI agent investigating the murder of an 11-year-old girl who turns to a “clandestine research facility in Tennessee known as The Body Farm” to find answers. The story isn’t based on any particular real life case, but the inspiration for facility in the story clearly comes from the ARF. Although the book itself isn’t particularly well known in the general public the name ‘Body Farm’ has stuck ever since and effectively become the unofficial for name for HTFs across the world. There was also a TV series with the name ‘The Body Farm’, about an HTF, broadcast in the UK in 2011. The term ‘Body Farm’ is understandably controversial, as it conjures images of body parts being ‘grown’ or cultivated, or zombies bursting out of burials. For many, it sounds gruesome or disrespectful to those individuals who have selflessly donated their bodies to the advancement of forensic science. Unfortunately, the term is catchy, grabs attention, and seems to have stuck. The Anthropology Research Facility at the University of Tennessee has embraced it, proudly calling its facility The Body Farm. The advantages of this term is that people tend to have heard of it, and have some idea of what a ‘Body Farm’ is, whereas far fewer people are familiar with the more scientific and respectful term ‘Human Taphonomy Facility’. Until we can spread the word, and make ‘taphonomy’ a well-known term, it looks like the name ‘Body Farm’ will be used for the foreseeable future. Instant Payday LoansFrisky loans is the reliable option for your immediate money requirements.